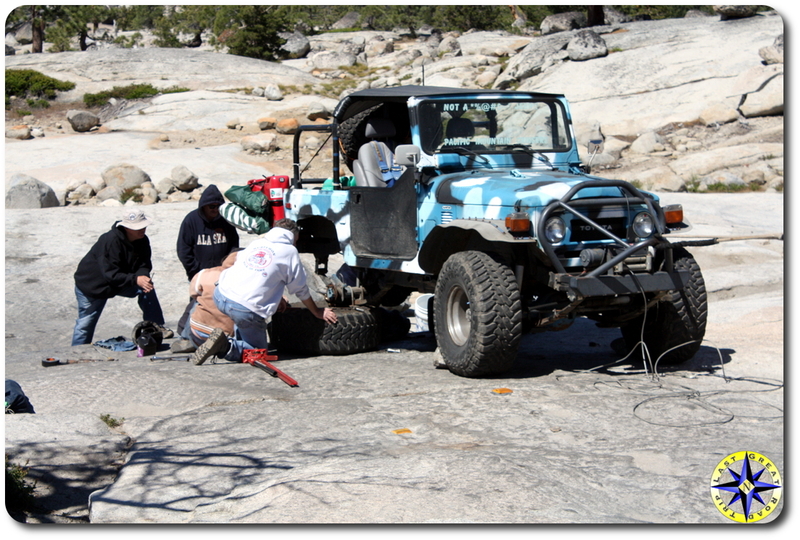 Ask folks to describe what Rubithon and the Rubicon Trail means to them and you may be surprised by the answer. Comradery and diversity: Doctors, lawyers, plumbers, carpenters, accountants, fire fighters and everyone else come together at Rubithon. 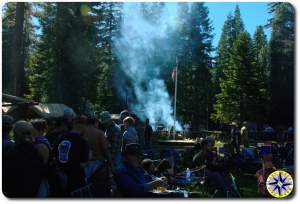 From across the country and every imaginable walk of life, people come together to celebrate their love of the great out doors, off-road driving (off highway for the Tread Lightly folks in the crowd) and Toyota trucks in the Rubicon Springs. For many, this will be the only time they get to see a friend they’ve known for years. 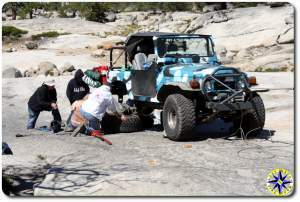 Other friends have traveled thousands of miles together, eating truck stop food, sleeping in rest stops (or Walmart) and fixing flats along the way in order to check the Rubicon Trail off their bucket list. 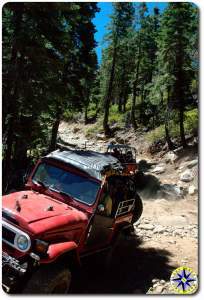 Bragging rights: Everyone in the off-road world knows the Rubicon Trail as the ultimate off-road adventure. 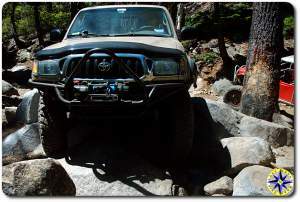 Folks come from Tennessee, Colorado, Oregon, Arizona, Texas, and even the Antarctic to drive the Rubicon Trail in order to attend the 25th annual Toyota Land Cruiser Association’s “Rubithon”. For some it is their first time on the trail, for others it is another of many and for a few it is their 24th time at Rubithon. 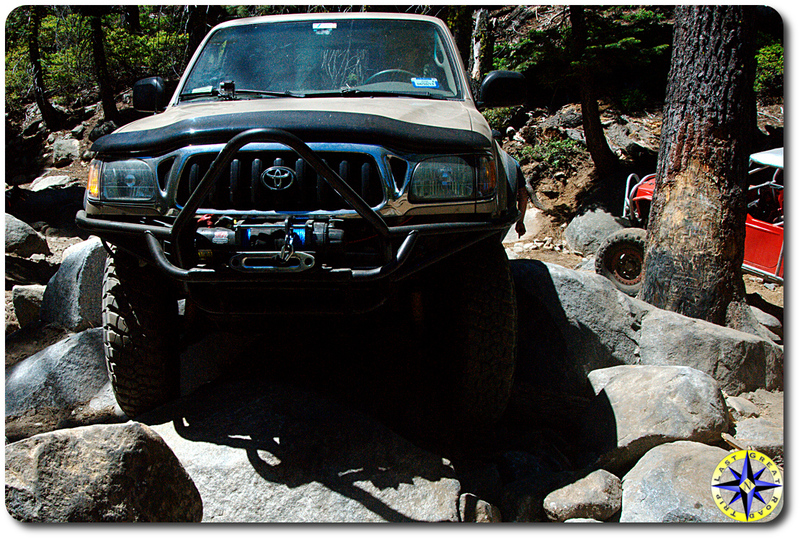 As for trail cred, complete the Rubicon Trail making it safely into The Springs for Rubithon and no one will question your intensity again. Patience and Self Discipline: Intense focus and concentration is required every second on the trail. Easy flat sections are short and infrequent. Other trails may have more intense obstacles scattered about but none can match the constant barrage of boulders, granite shelves, drops and off camber of Rubicon. Loose focus for even a moment and you will experience the results of metal and granite trying to occupy the same space in time. A trail with so many obstacles has very little room for rigs to pass. Traffic jams become the norm as rigs stack up working their way through the toughest sections or repairs are made for broken axles, bent tie rods and blown tire beads. 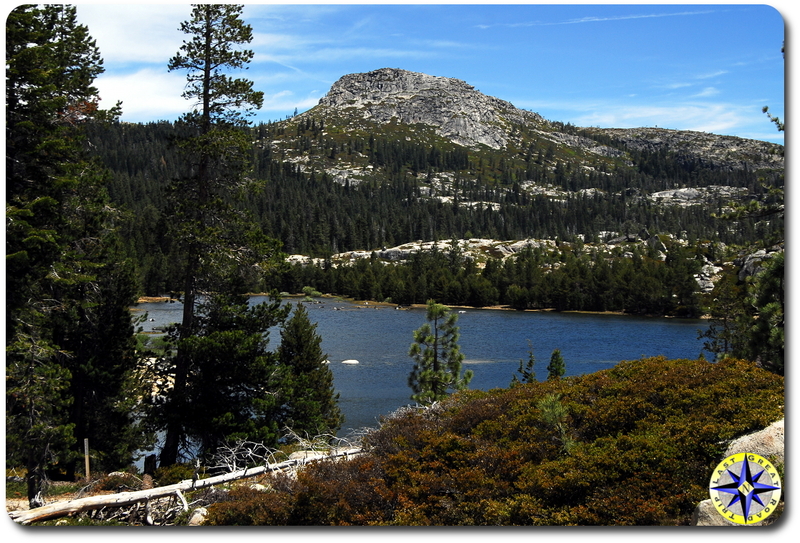 The pace can be maddeningly slow but it offers an opportunity practice your Zen meditation of patience and take in the majesty of the High Sierras which are unmatched in the world. 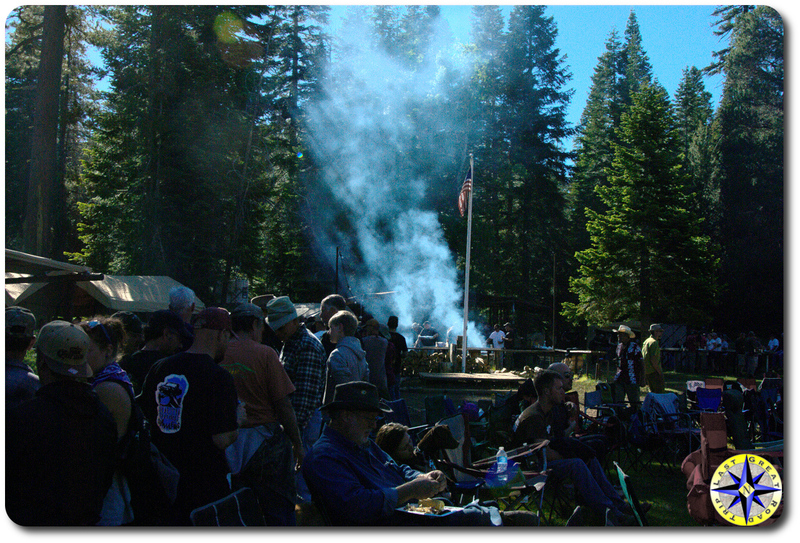 Sense of self sufficiency: Rubithon starts on Tuesday at Loon Lake and ends with a drive up Cadillac Hill on Sunday. In between you drive, setup camp, tear down camp and drive some more. There is a thin line with dry camping between extravagant treat and a week in hell. Your water, shelter, tools and ingenuity are all that separates you from a miserable, nightmarish, hypothermic, sleepless trip. At best the trail provides a flat spot for a tent. If you need it, you must bring it in. If you bring it in, you must bring it out (Google “wag bag” if you dare). Balance creature comfort, spare parts, weight and space in your rig correctly and you will know the bliss of independence and self sufficiency, get it wrong… think Donner Party. 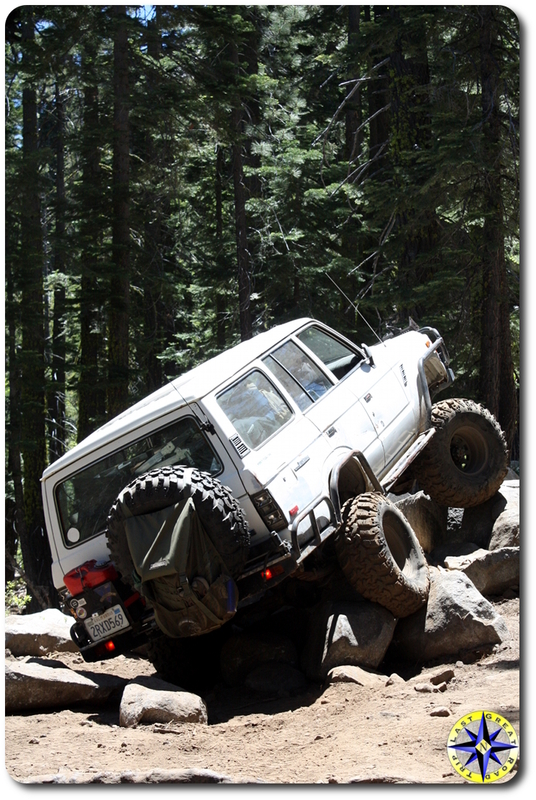 Off-road driving skills: If you think you know how to drive off-road and have never driven the Rubicon Trail, think again. Come around on your slider and bounce off the skid plate to line up for an aggressive climb up a series of large boulders followed by a steep off camber descent. This scenario repeats it self a 1,000 times in seven miles. Get it wrong and you’ll have a permanent reminder of your mistake tattooed in sheet metal. On the Con you learn just how far you can push yourself and your rig. By the end you have developed the ability to see the lines that will keep you driving the straight and narrow. Trails you thought were difficult before Rubicon, not so much any more. Family: “When everything goes to hell, the people who stand by you without flinching — they’re your family. ” Fathers and sons, fathers and daughters, girlfriends and their beaus, husbands, wives and children, families of all sizes sharing the Rubithon experience. Multiple generations on the trail, where for a moment the differences in years, life experience and taste in music melt away exposing their love for each other, building family memories that will last a life time. 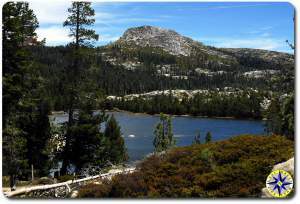 Parents who are committed to taking care of the Rubicon Trail, protecting it for generations to come. A family that extends beyond genetics to each and every member of the TLCA that stands by you on the trail to fix what gets broke and ensure no rig is left behind. Fun: Wine tasting, horseshoes, RC cars, BBQ, the Marauder bar, bond fires, hiking, swimming, rock chief, tech talks and door prizes… lots and lots of door prizes. Rubithon is the only TLCA hosted event and they go overboard making sure it is fun for everyone who has arrived in the Rubicon Soda Springs. After 25 years, Rubithon has grown to be one of the most fun off-roading events where everyone from kids to grandparents can find something to enjoy, when they tire of fresh air, sunshine and relaxation. In a word, Rubithon is all of these. I ponder my own description and I struggle to come up with a single word or phase that can sum up the gambit that is Rubithon. Thinking about it my word choices pale when compared to the words of those who worked so long and hard behind the scenes all year to pull off this event or the folks who have battled against those who would close the Rubicon Trail and condemn this place to nothing more than a historical foot note. My word privileged. Privileged to drive on this sacred trail for a second time, to have met so many great people who share our love for off-road adventures, to listen to them tell their stories and to now call several of them my friend.